Cost:Tickets starting at $55. Discounts available for UC Davis Students/Staff/Faculty, Active-duty Military, Youth and Non-UC Davis Students. The Chamber Music Society of Lincoln Center (CMS) returns to the Mondavi Center to perform Bach’s Brandenburg Concertos, works that unfailingly provide spiritual fulfillment for music lovers of all faiths and beliefs, inspiring strength at year’s end and a vision of the brightest future. The artistic core of CMS is a multigenerational, dynamic repertory company comprised of an evolving and unparalleled roster of performers. 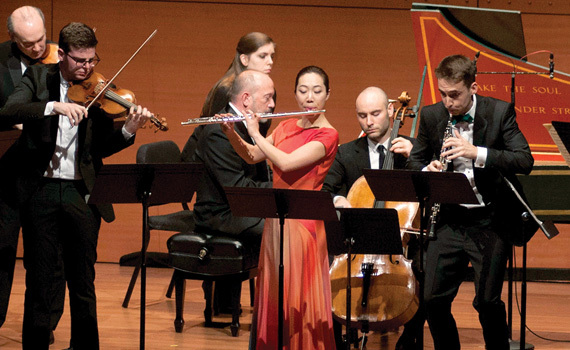 Demonstrating the belief that the future of chamber music lies in engaging and expanding the audience, these expert chamber musicians draw more people to the genre than any other organization of its kind.